Sasha has had a poor start in life and is very nervous of new people, especially men. We have been slowly introducing her to new people and she’s improving all the time and we feel that she really needs to start experiencing life away from the kennels. She’s been to the vets for her vaccinations, spay and investigation as to her bald patches and coped very well but she still needs a lot of reassurance. ~ As a side note, our vets can not find a reason for the bald patches and we were assured by previous owners that she has always had them, we conclude that stress has caused these bald areas, and these might never recover. Given Sasha’s anxieties we want an experienced dog owner(s), who will use positive and cruelty-free training methods which will help her overcome her anxieties and learn to trust people again. Sasha’s new owners will be expected to meet her a number of times at the kennels before they take her home. We would like her new home to have her own secure garden where no-one can scare her by looking over or reaching in to pet her. Sasha is very strong and pulls on the lead, we are trying to help her with this but she will require ongoing training. Sasha has been fine around other medium and large sized dogs here at the kennels but will not be suitable around cats and small furries. At this time, Sasha is not suited to living with children. 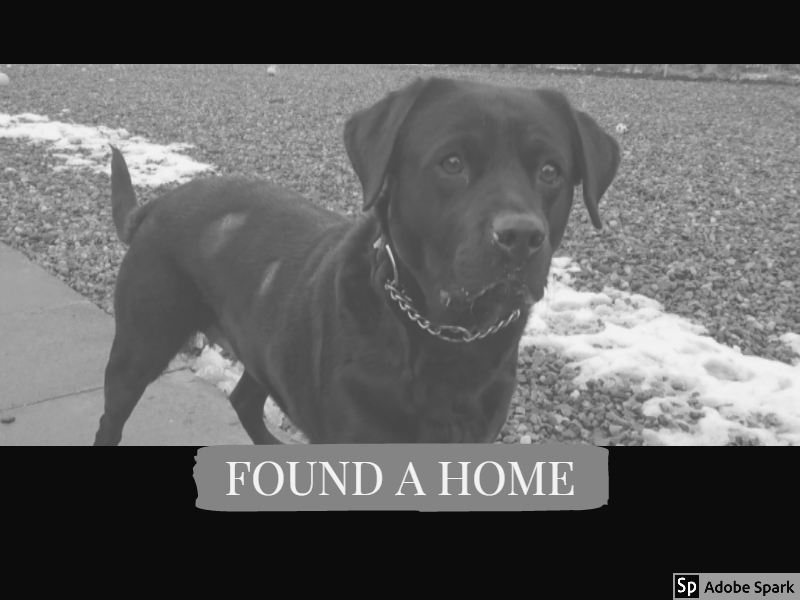 This entry was posted in Found a Home and tagged Adoptdontshop, Labrador, Rescue Dog.